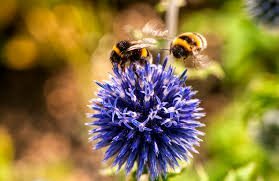 The Guardian are warning of an ecological armageddon due to the data published in a study released yesterday which shows that insect populations have declined by over 75% in the last quarter century. Insects are one of the most crucial elements in the global ecosystem as vital pollinators and as a food source for animals further up the food chain such as bats, birds and amphibians. The research was carried out in Germany which has been a popular location for recent studies on entomology with specific focus on the decline of pollinators. We have written before about the role of widespread pesticide use in the decline of insect population. Although researchers in this most recent study were unable to confirm the exact impact of pesticide use on the mass extinction of insects, other similar and more specific field studies have confirmed that there is a causal link between the two. It is becoming more and more clear with every passing day that our current agricultural practices that require enormous chemical inputs and the clearing of natural wildlife refuges cannot be continued. Large scale industrial agriculture, rather than feeding the world is killing it. Once we exceed the ecological tipping point of an ecosystem, irreversible collapse is imminent.